Homeowners living in areas that receive frequent stormy weather benefit from having impact-resistant roofing installed on their homes. Such roofing protects from damage due to hail stones, strong winds and penetration from objects carried by storm winds. Impact-resistant roofing protects homes against stormy weather. 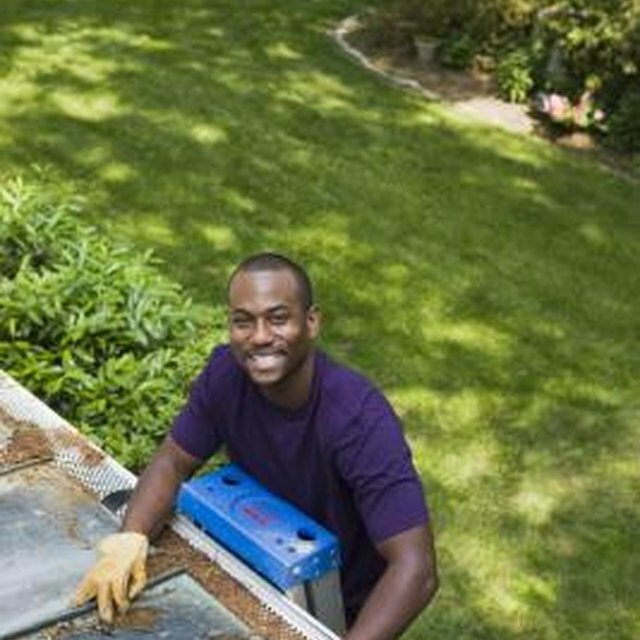 Most impact-resistant roofing materials look exactly like their ordinary counterparts. Shingle designs include three-tab and architectural asphalt shingles. Shakes, tiles, sheets or panels come in an array of styles and colors and are made from metal, wood or alternative composite products. Roof coverings must pass the Underwriters' Laboratories' (UL) Standard 2218 test for impact resistance, and then are classified as either Class I, II, III or IV. Materials rated as Class IV offer the highest impact resistance and receive the highest premium credit from home insurance companies. According to Waxahatchie, Texas insurance agent Adam Rope, impact-resistant roofing saves money over time because many home insurers offer an annual discount to homeowners who have installed certified products. If your home isn't damaged during a storm, you are saved from the headache of filing a claim and paying out-of-pocket.